The Desert 7'z / E Town Boyz and Hill Boyz are a hip-hop crew from three different remote Aboriginal communities spanning a radius of 700 kms. Desert Sevenz are a group of young men from Ampilatwatja community. The Hill Boyz are from Epenarra community and The E Town Boyz are from Elliott. Members range from 19-23 years of age, they live in what's known as the Barkly region, which is the second biggest council region in the world - and twice the size of the state of Victoria. 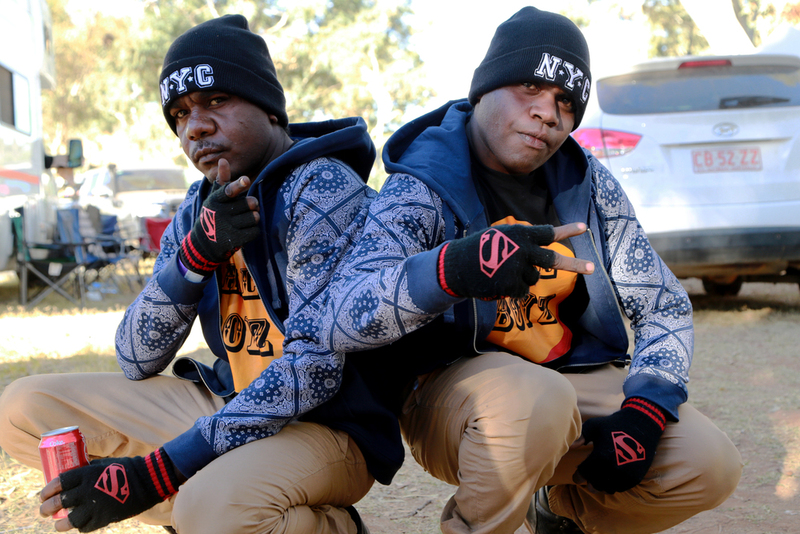 They all met for the first time in Alice Springs in 2014 at the Dirty Word poetry festival, where they performed on-stage as a combined act for the first time. 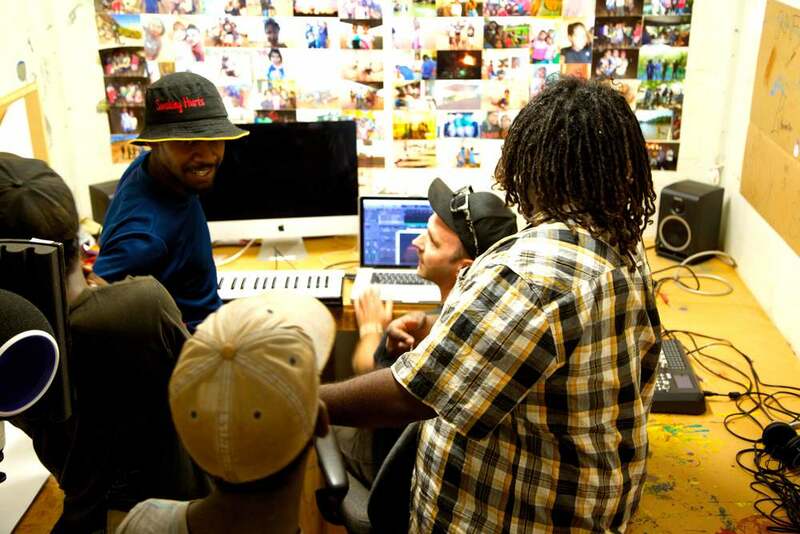 They write songs collaboratively together incorporating beats and discussing issues they would like to include as lyrics. Their songs incorporate traditional language, social issues, dreamtime stories and cultural history. The crew grew up listening to a variety of musical genres like hip-hop, reggae and metal. They've been influenced by a wide range of music like Metallica, Snoop Dog, Guns n Roses, Dr Dre, Eminem and Lucky Dube. Their favourite artists at the moment are Biggey Small, Tupac, NWA and Cypress Hill. The film below was apart of the Alywarr sessions which was a combined project with Barkly Regional Council and Desert Pea Media in 2013. In 2013 they had the opportunity to work with Desert Pea Media, a not for profit company specialising in working with Indigenous communities and recording and creating Hip Hop and recording stories in contemporary mediums such as song and dance. Fly Back Home and Two Wayz were created and an EP called "The Alyawarr Sessions" was launched. In 2015 they were given the National Local Government Award in the 'Arts Animates' category which saw two members flown to Canberra to meet with politicians about the Barkly Youth Program 'Desert Culture'. This program is a youth diversion initiative by Barkly Regional Council, collaborating with music producers Monkey Marc and Beatrice Lewis. They won the NIMA Award for best community film clip 'Fly Back Home' in 2014, a collaboration with Desert Pea media, a not-for-profit organisation specialising in producing hip-hop music videos in remote Aboriginal communities. Their song 'Because of Our Skin' has been added to the rotation of Triple J Unearthed radio, and have performed live on ABC Local radio and were interviewed on Triple J Radio in June 2015 for NAIDOC Week. The E Town Boyz were discovered in 2014 as apart of Monkey Marc's first visit to Elliott. Stop the violence and Take a Minute to Think were recorded which discuss the communities' issues of domestic violence and drink driving. The songs came out of workshops with the group of young men from the community and tell a powerful story of their community. 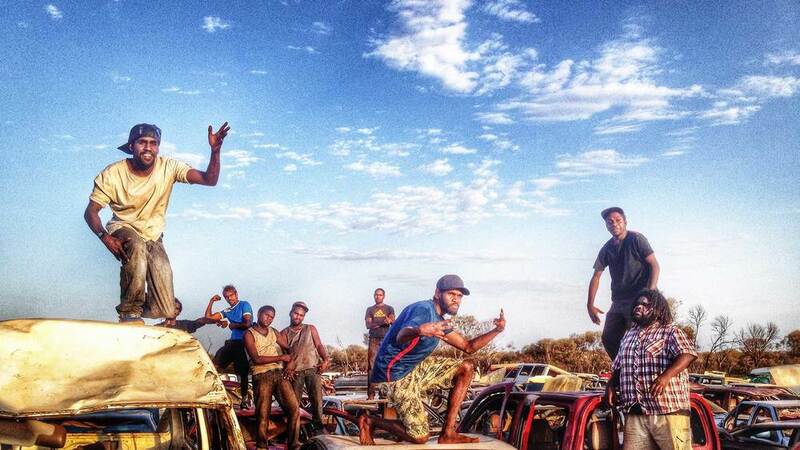 The Hill Boyz come out of Epenarra NT and were first discovered by Desert Pea media in 2013 as apart of the Alywarr sessions program and have created more recent work with Monkey Marc and Sean Spencer in collaboration with the Desert Sevenz and E Town Boyz. They have recently created three new tracks with Monkey Marc and Ozi Batla in Elliott as apart of the Barkly Desert Culture youth program. Recent performances have included Youth Week in Tennant Creek, Wide Open Space Festival at Ross River Resort, a fundraiser at Watch This Space Gallery in Alice Springs. In September 2015 they were selected by MusicNT to take part in three days of music mentoring, followed by a performance at Bush Bands Bash, the biggest annual Aboriginal music concert in Central Australia. They are looking forward to recording a new album together in Elliott under t*/he new combined names of the Desert 7s, produced by renowned Australian hip-hop producer Monkey Marc (of Combat Wombat). The album is due for release in 2016. 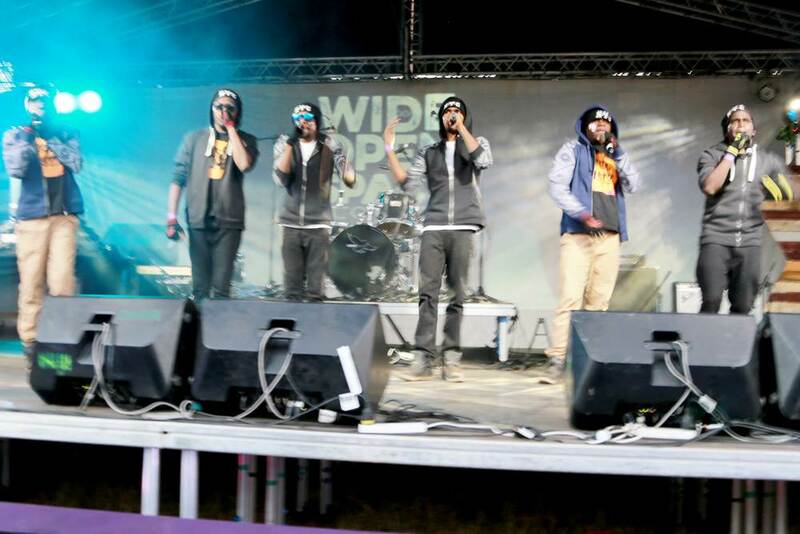 In May of 2015 The; Desert Sevenz, Hill Boyz and E Town Boyz performed at a festival near Alice Springs Nt called Wide Open Space Festival. Here is a video of their live performance at the festival. In September of 2015 the Desert Sevenz were invited to be apart of Music Nt's Bush Bands Business and the Bush Bands Bash; A big music development program incorporating Indigenous bands from central Australia and Music industry professionals. At Bush Bands Business they learned about the music industry and had the opportunity to hone their skills with music professionals from across the country before playing in Alice Springs at the prestigious Bush Bands Bash. Bush Bands Bash has been showcasing Indigenous bands for years, however this year was the first time in its history that they had a Hip Hop act. The fellas performed brilliantly and stepped up to the task. This video showcases two songs from their set at the show this year.